Self-drive holidays in Mexico are very popular and, with careful planning, can be the trip of a lifetime. Cancun is undoubtedly one of the most beautiful places in Mexico. Sun-drenched beaches, jungle adventures, cenotes (underground springs) and culturally rich attractions are to be found in abundance. There is little point, however, in arriving in Cancun with no plan in mind. Have a look at Cancun holidays with Thomson to compare rates this season, and book early to avoid disappointment. Take time to plan your self-drive trip in Cancun to ensure you get the most out of your time there. Research carefully just what areas around Cancun you would like to see. One of the great advantages of driving yourself is that you have some flexibility in how long you stay at a particular place. Think about what really interests you. Do want to relax on a beach, immerse yourself in local and historical culture or get active with such as activities as snorkelling and parasailing? All these things and more are readily available in and around Cancun. Once you have a general plan in mind, make sure to book in early to avoid disappointment. December through to April is the peak tourist time for Cancun holidays, so bookings are essential. 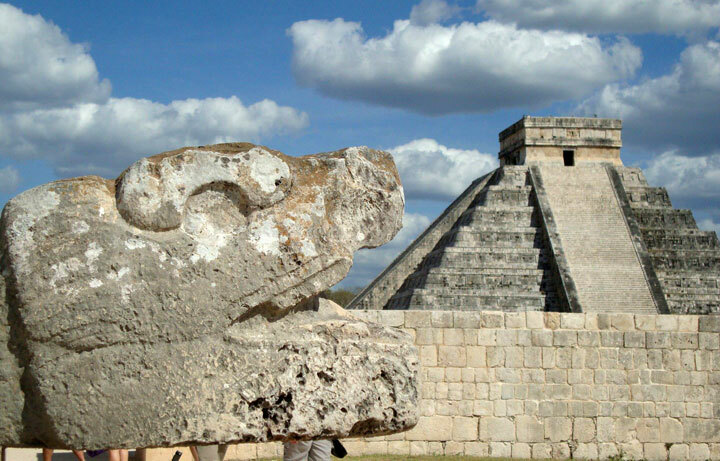 As an example, Chichen Itza (a 2-1/2 hour drive from Cancun) is crowded at the equinoxes, March 21 and September 21, due to the unforgettable experience of witnessing the serpent formed by the play of light and shadow on the ancient ruins. Another good reason for booking early is to make the most of the time you have. The last thing you want is to be wasting time finding rental cars and deciding where to go once you reach Cancun. Find a reputable company that has positive reviews. You want to be sure that any company you deal with is going to provide you with a safe and reliable vehicle. This is especially true if you are planning to drive on any of the free “libre” roads on your visit. Many people have been scared off driving in Mexico through tales of bad roads causing flat tyres. Although the roads in Mexico are much improved, they can still pose a few hazards. If possible, find a company that also allows for some flexibility in your itinerary. A number of companies offer flexibility through joining small tours back to back. This can be a good idea as you have the advantage of interesting packages that assure the best in sightseeing and great experiences while allowing you a little time to stay longer at the places that really capture your heart and spirit. There is so much to see and do in and around Cancun that you won’t want to miss out on the best. Take your time to plan online; book well in advance and choose a reputable company to help you with your itinerary. Explore the rich culture and sights of Cancun at your own pace. If you think ahead, a self-drive holiday is the way to make the most of your Mexican adventure.